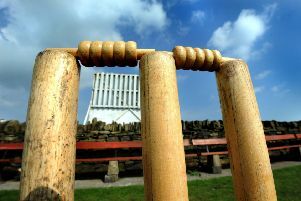 The destination of the first division title looks set to go right to the wire after the two clubs at the top before play on Saturday – Swalwell and Shotley Bridge – both tasted defeat, losing against Consett and Tynedale respectively, writes Brian Bennett. As a result, the race has tightened up at the top with only 39 points separating the leading four sides, with Consett taking over second place. 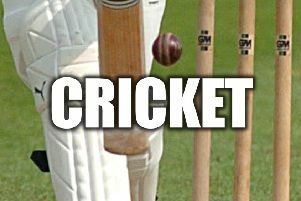 Ashington – in fourth place – wrapped up a 30-points maximum after inflicting a crushing defeat on relegation threatened Lintz at Langwell Crescent, routing the visitors for a paltry 35 all out in 24 overs. Right-arm quickie Ben Harmison started the slide in the third over of the contest, removing Kevin Johnson lbw, then bowling Nathan Clennell. Stephen Boyd and Matty Collins also got in on the act before a stunning stint by Ian Sharkey finished Lintz off as he took 4-3 from five overs, two of which were maidens. Dan Grant and Jack McCarthy opened for the home side and were progressing well until the latter fell leg before to Kieran Gohery for 11. Victory was completed after ten overs with Grant unbeaten on 16 and Jack Jessop on eight. Mighty Acorns skipper Sean McCafferty who took over the captaincy from Ben Harmison five weeks ago, has declared all along that his outfit are still in the running for the championship. He added: “It was a good toss to win. The pitch wasn’t covered when we had the heavy rain so it was a little bit damp and I decided to bowl. “From thereon, we never looked like letting up. Ben Harmison started us off by taking a couple of wickets in his second over then we were not conceding any runs – so Lintz were never getting away from us and it was a case of picking up wickets when we could. McCafferty shuffled the batting line-up and added: “Jack McCarthy went in as opener with Dan Grant. The idea was to try to give lads more of a bat and to get them into a bit of form as we approach the later stages of the season. *On Saturday, Ashington are away to Ryton.